Last week, Immediate Insiders sent me a John West Creations product to review. 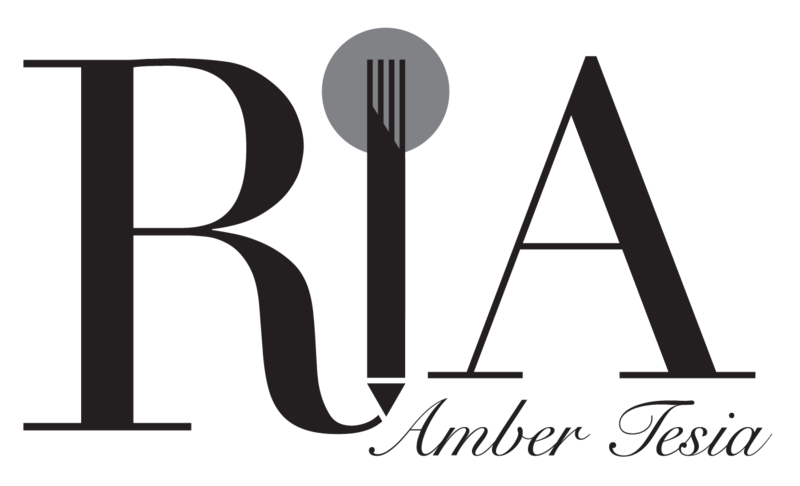 What’s great about this trial (run in association with the Immediate Insiders Panel across Good Food, delicious and Olive) is that opinion at grassroots level is canvassed, to raise brand awareness and gauge popularity of the product. 1. Preheat oven to 200C/180C fan. In a large bowl, combine olive oil, curry powder, cumin seeds and mix well. 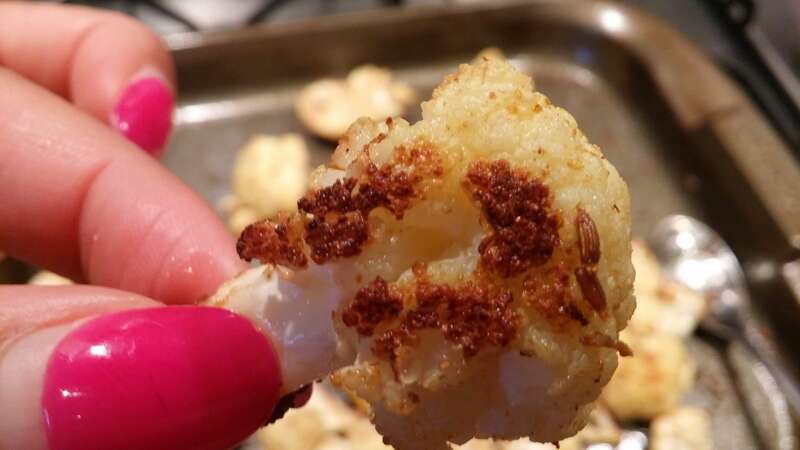 Tip in the cauliflower florets and toss with your hands to coat completely. (I find using a plastic bag better, as you can really massage the oil into the florets. Hat-tip Mary Berry.) Transfer to a baking sheet and roast until golden but still al dente, circa 20-25 minutes. 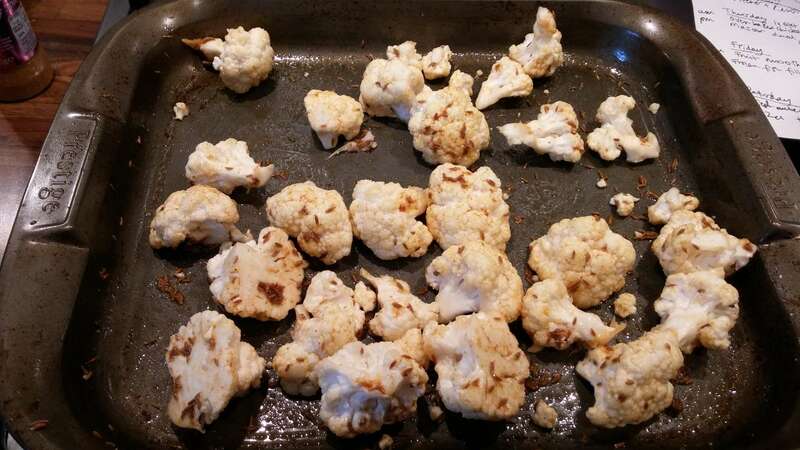 I roasted mine for just under 20 minutes, as I prefer more bite to my cauliflower (mushy vegetables is one of my pet peeves, right up there with warm chocolate and under-seasoned food). Beautifully burnished, perfectly roasted cauliflower floret. 2. 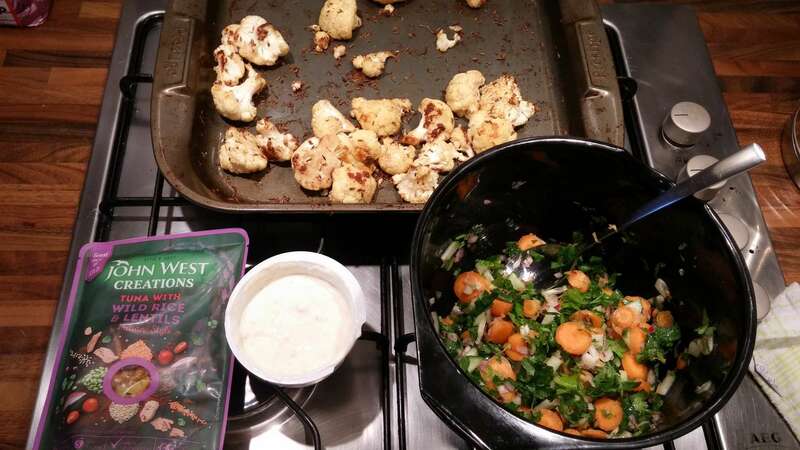 Mix together the John West Creations pack with the remaining vegetables, most of the coriander, lime juice and zest. Season to taste. 3. In a small bowl, whisk together the Greek yogurt and mango chutney. Again, season to taste. 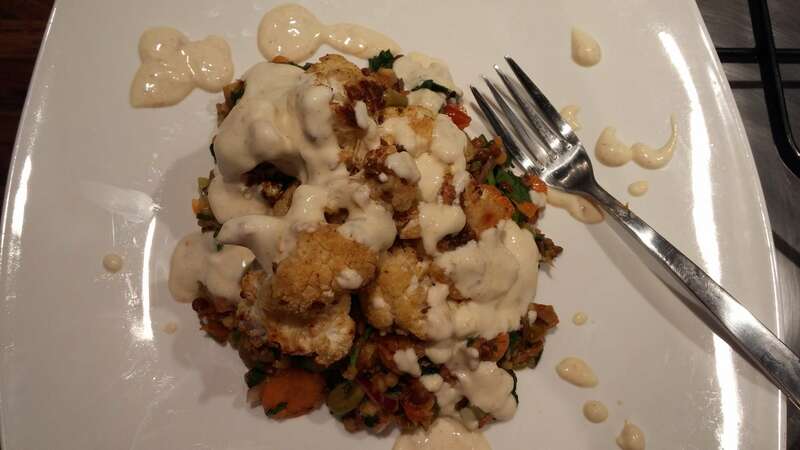 Serve the salad topped with the cauliflower and drizzle over the dressing. 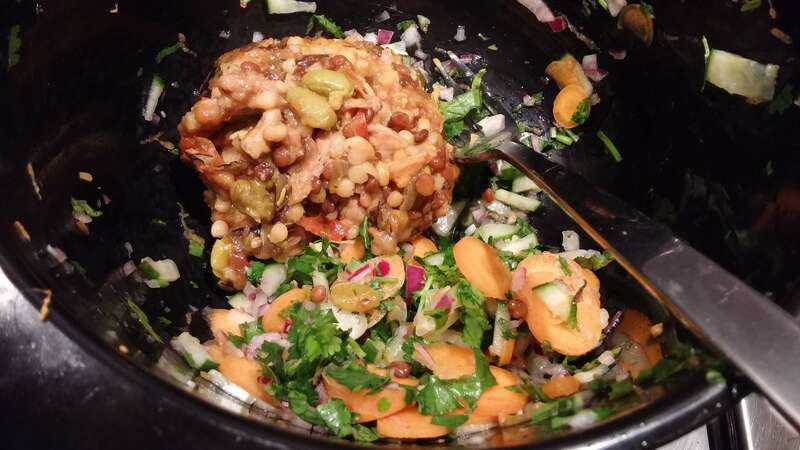 Scatter over the flaked almonds and remaining coriander before serving. There are four main components to this dish; the John West Creations Tuna pack, salad, cauliflower and yogurt. I found this easy to make. However it took me more than 20 minutes to prepare. It was more like 30 minutes, by the time I had prepared all the vegetables. The flavour of the dish was great; I love fish and I’m always wary of pre-packed fish being too fishy. I find the smell of tinned tuna too intense, but the tuna in this John West pack was tasty and not overly fragrant at all. Here is the final dish in all its glory. Yes my plating skills need work, but it was heavenly to eat. The tuna filling was a little on the sweet side, and after I added salt, it was very good. The cumin gave the dish added depth and a hint of heat, whilst the tuna mix was garlicky, slightly tangy and altogether a tasty treat. There was a good ratio of vegetables to tuna mix, and the salad was light and filling, rendering this one satisfying dish. I would never have thought to pick up a John West pack and will certainly add to my shopping list next time for a mid-week meal. Have you tried any John West Creations packs? I’d love to know how you got on!